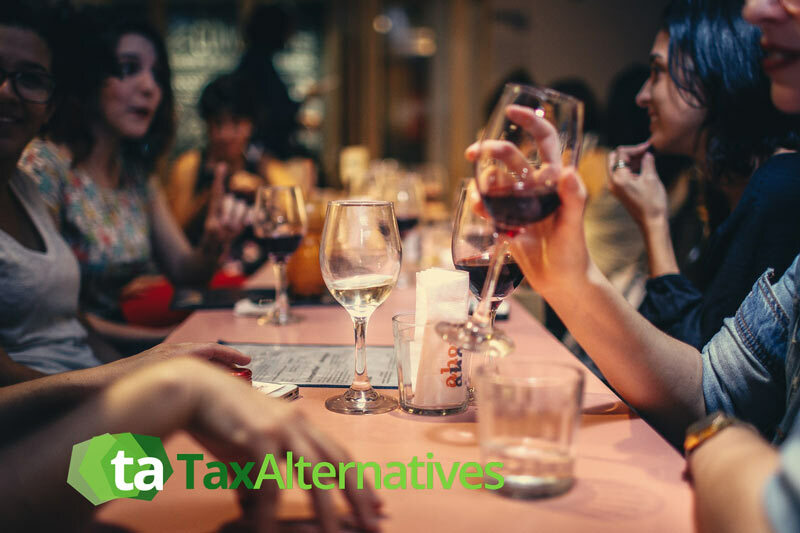 If you are a business owner then surely you know that you are entitled to deduct certain types of expenses on your tax returns, like those incurred when entertaining clients. The entertainment category with regard to income tax filings is any type of activity that provides actual entertainment, recreation, or amusement to your clients. It may also include such items as hotels, meals and even rental cars. With that said, the professionals here at Tax Alternatives want to take this time to offer some insight on business entertainment expenses that is sure to be useful when filing your business tax returns. There is a 50 percent limit on entertainment deductions including such items as entertainment costs, tips, room rentals, waiters, tips, and maids to name a few. Further, all entertainment expenses must be directly related to your business and you must keep accurate records that itemize and explain your expenses. In addition, the person or persons being ‘entertained’ must be a business associate of yours whether a customer, client, professional advisor or employee. Often times employees, and even yourself, will have a spouse present at an event. The entertainment expenses that are allocated to the spouses are deductible as well. It is important to understand that business entertainment expenses are only deductible when they take place somewhere that is conducive to business. If you host a small party for clients and business associates at your home during the summertime chances are it will be deductible since more than likely you will discuss business with your invited guests. However, a bar, theater, or sports arena to name a few would not be considered places conducive to business. Another event that is typically 100 percent deductible is that of a year end holiday party for your employees and even seminars or business presentations you host in your home. So long as you are practical and reasonable with the menu and refreshments, these events should be 100% deductible. Even out of pocket expenses incurred for events held at facilities other than your home that you own would be deductible at 50 percent such as a boat, hunting lodge or even a campsite. Determining whether or not an expense is directly related to your business can be somewhat of a challenge. However, if you can prove that the event was hosted with the expectation of gaining some business benefits from it, and that you actually conducted some type of business during the event then indeed it is directly related. Basically, you must have a concise business purpose when taking on an entertainment expense, and business discussions must be a part of the overall event. The tax laws require all business owners to keep adequate records that can prove business purposes, amounts spent on entertainment as well as monies spent on other business expenses. Here are some useful tips for substantiating entertainment expenses. Be sure to keep a record of the business purpose and the type of business discussions that took place during the event. Finally, keep adequate records of all those participants present at the entertainment event, including their names, titles, and their occupations. We all know how complicated and complex the tax laws can be which only increases the challenges when it comes time to prepare and file your business tax forms. If you have questions or are uncertain about any of the laws with regard to business entertainment expenses, or perhaps you need guidance on setting up an appropriate recordkeeping system simply reach out to our highly skilled tax and business specialists and we can help. If, however, you decide to hire professionals for your tax preparation and filings or for any other aspects of your small business, then surely you have come to the right place. Tax season is here. So why not reach out to the pros here at Tax Alternatives and let our Christian-based company provide you with the confidence and peace of mind needed to know that your taxes will be prepared efficiently and filed in a timely manner. Whether concerns about business entertainment expenses, other business deductibles or overall tax preparation and filing we are the team for you. We look forward to serving you and to providing you with all your small business bookkeeping, accounting and tax needs. Don’t delay. Contact us today! !